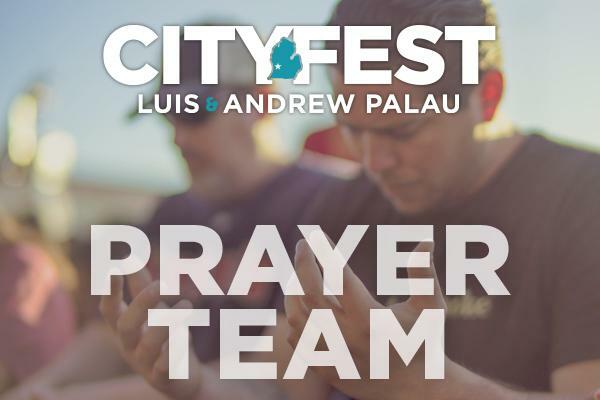 Thank-you for joining the CityFest Grand Rapids Prayer Team! We are a growing body of prayer warriors now numbe ring 1466. E ncourage others you know to sign up also at www.cityfestwestmichigan.org . Not just so we can have more numbers, but so we can send even more prayers to our Heavenly Father who listens to our cries for our region. We are grateful for your partnership in praying for all things CityFest, and for joining in prayer for revival and spiritual awaking in the West MI region. We believe God’s transforming power is coming to awaken His Church and the souls of those who do not yet know Him. In fact, we already see it starting. Revival flames are burning in West Michigan, the faithful prayers of God’s people are stoking the fires, and God’s Holy Spirit is blowing on those hot coals and small fires igniting them to an inferno that will spread from West Michigan across all of Michigan, our Nation, and to the ends of the earth. Following is a specific prayer guide that may be helpful as we pray in agreement for Revival and Spiritual Awaking in West Michigan. If you are interested in having your church participate in a 24/7 CityFest Prayer Initiative, contact Pastor Marcus Little at marcus@bereangr.org or (616) 307-1233. Pray for all of the youth that came forward to make a commitment or a recommitment for Christ at the Movement Youth Gathering on Thursday. Pray for protection over them in the powerful name of Jesus to keep the birds of the air from snatching the good seed planted. Rather, may the seed be planted firmly in their hearts, be watered, and grow to produce much good fruit in their lives. Praise God for the thousands of people in West Mi who have been trained in Evangelism through the Friendship Evangelism with Mark Mittelberg, the Organic Outreach evangelism training, and the Go and Tell Evangelism Training. Pray now for opportunities and for obedience to practice what we have learned, that thousands more will come to salvation in Jesus Christ. Praise God for the unity and Presence of God experienced at the National Day of Prayer Service on May 3. Continue to pray for good fruit to come from that time together, for ongoing relationships, for blessings and favor over the areas of influence in our society: (Arts/Media/Entertainment; Government/Political/Law and Order; Business/Industry/Medical; Family/Education; The Church). Pray for churches to be preparing now for Discipleship opportunities for Fall 2018. Pray for many new Alpha (alphusa.org) and Immerse Bible Reading Experience (ImmerseBible.com) opportunities across our region. Pray thousands will come to know Jesus though City Fest and that thousands more will experience Jesus through Alpha as an ongoing unifying follow up tool in Western Michigan. Pray for all of the CityFest chair persons and committees. Click HERE for a list of the committees.